Home LIFESTYLE	“HEATWAVE” ROD TEMPERTON DEAD AT 66 ! The Stylistics, New Stylistics, R&B, Russell Thompkins Jr.
AN EXCLUSIVE BACKBEATRNB INTERVIEW WITH THE LEGENDARY RUSSELL THOMPKINS JR.
AN EXCLUSIVE WITH THE LEGENDARY LJ REYNOLDS OF “THE DRAMATICS ! You may not remember Rod Temperton by name but, you surely will remember hit songs like “Always and Forever “, “Boogie Nights”, “Thriller”, “Rock with You”, “Off the Wall”, “Give me The Night” and “Baby Come to Me” just to name a few. Temperton was a great songwriter, record producer, and musician and singer. In 1974, Temperton answered an ad in a British weekly music newspaper known as “The Melody Maker” placed by Johnny Wilder Jr, lead singer of the group “Heat Wave” in which he was forming at the time. Wilder met him and liked his unique style, his funny sense of humor,and his friendly way. Temperton, joined the band as a full-time musician and wrote the lyrics to “Boogie Nights and “Always and “Forever” of which both were million dollar sellers in the United States. In 1978, Temperton decided to concentrate more on his songwriting and left the group . However, he continued to write for the Band! In the late 70’s he attracted the attention of music producer Quincy Jones who ask his musical engineer Bruce Swedien to check out the Heat Wave album. Once Swedien heard it, he loved it. He loved the way Rod arranged and composed his tunes and songs to take on a Hip and soulful sound. Swedien also said Rod was “the most disciplined pop music composer I’ve ever met”. Rod was recruited in 1979 by Quincy Jones to work on Michael Jackson’s “Off The Wall” album and wrote 3 songs for the album, including “Rock with You” which became the second US No. 1 single from the album. Then in 1982 “Temperton wrote three songs, including the title track, for Jackson’s “Thriller”, which became the biggest-selling album of all time . After Thriller, Temperton had other songwriting successes. He wrote for Donna Summer, The Manhattan Transfer, Herbie Hancock, LL Cool J and many others. Temperton was nominated for the Best Original Song Oscar for “Miss Celie’s Blues,” which he co-wrote with Quincy Jones and Lionel Richie for The Color Purple in 1986. When the Movie “Running Scare came out later that year Rod Temperton wrote five new songs and composed the film’s score. 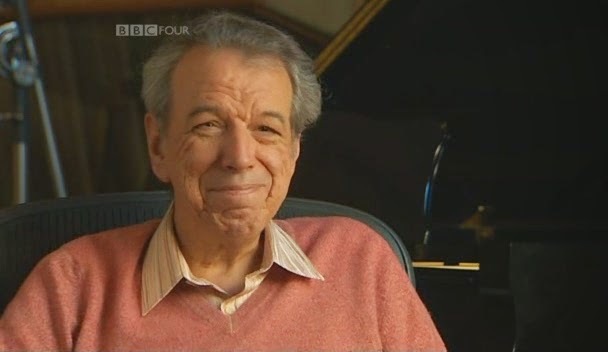 Unfortunately, Rod Temperton died September 2016 in London, but his death was not announced by his music publisher until the week of October 5, 2016. The world has lost another great musical genius but his songs will live on forever.